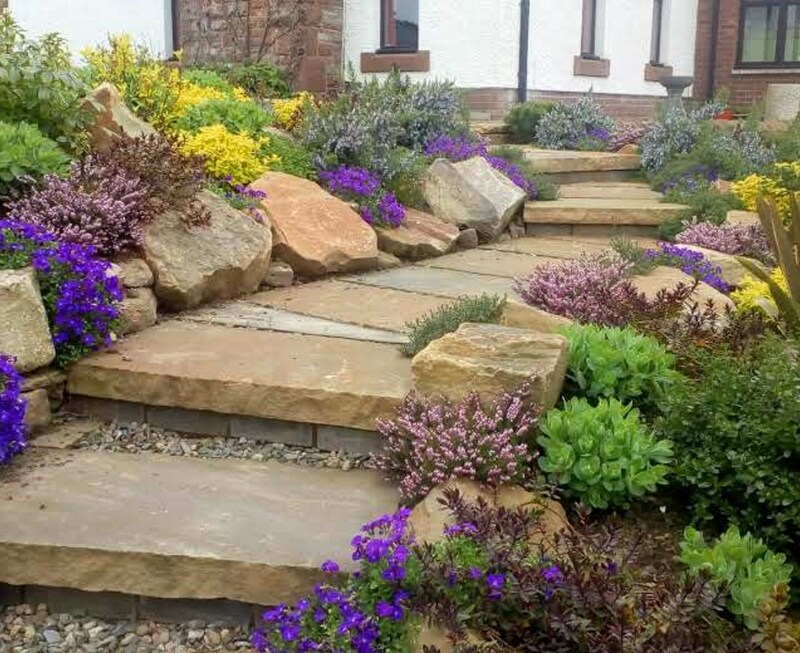 Gardens Transformed is a Cumbria based family business, specialising in bespoke garden design, landscape design and water feature design, working primarily within Carlisle, Cumbria, Southern Scotland and the Lake District. 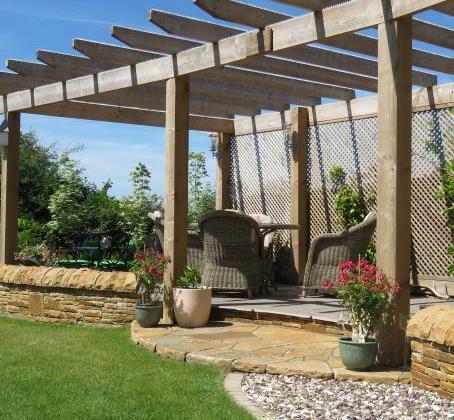 By combining our landscape gardening experience and innovation with proven construction methods, quality materials and our attention to detail, all projects large or small are carried out with a desire to create a space in which our clients can relax and enjoy life. 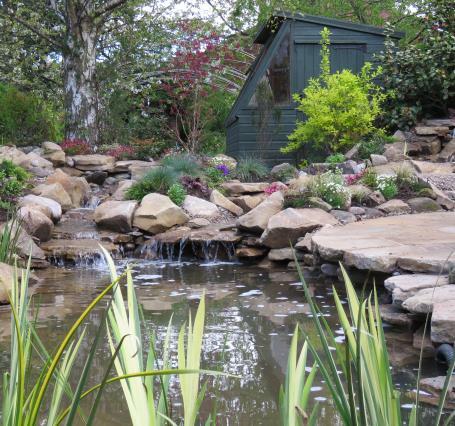 Inspired to meet our clients’ needs and their desires, we are humbly passionate about our work, and hope our portfolio of garden and water feature design projects and testimonials may demonstrate this to you. Please take time to enjoy our site and I hope we can help create your project with you. For a no obligation visit and consultation please contact Dougie Bainbridge on 07932 114770 or use the "Contact" menu above. "I have always wanted to go to the Chelsea Flower Show, no need now, I've got my own!" 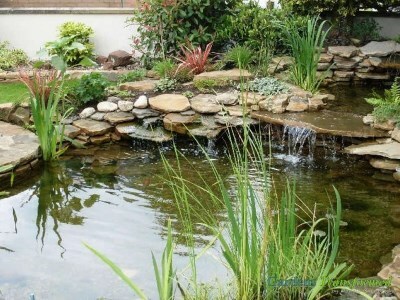 "I just wanted to thank you for creating such a beautiful pond." "Thank you for my wow garden. Your enthusiasm and passion for your work is something very special. 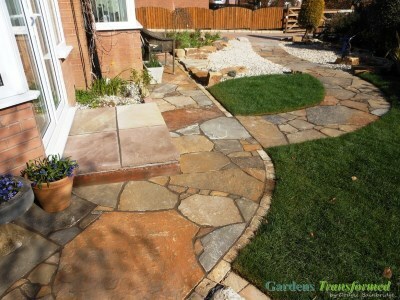 It's been wonderful for me to see such a quagmire transformed into a beautiful garden." 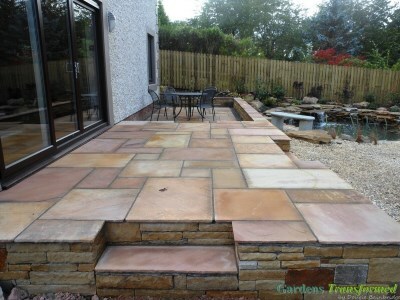 "We can't thank you enough for the wonderful job you have done. 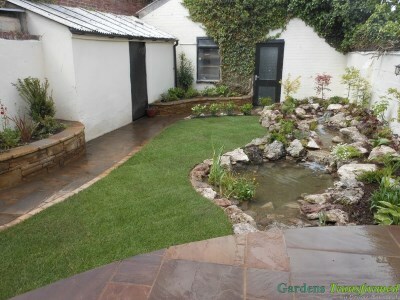 Our garden is completely transformed..THANK YOU." 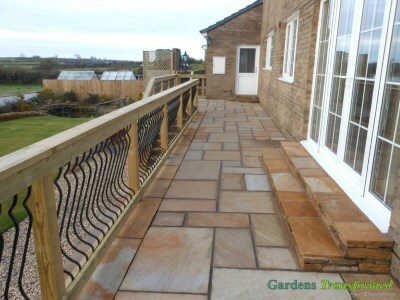 "Thank you for all your hard work and creativity...looking forward to see it and your business grow." 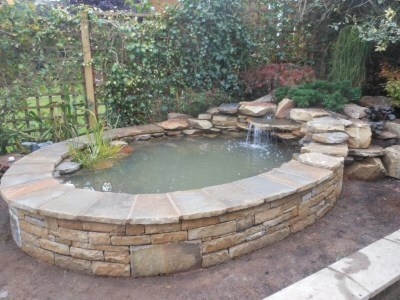 "Looking good...looking forward to sitting by the pond with a glass of wine"
"OMG Dougie it's amazing...can't believe it's ours"
"Can I take this opportunity to say how delighted and impressed we all are with the final product. I particularly have really enjoyed working with you to create something which is really really special. You have been the perfect contractor and I shall miss 'having you around' on a daily basis. 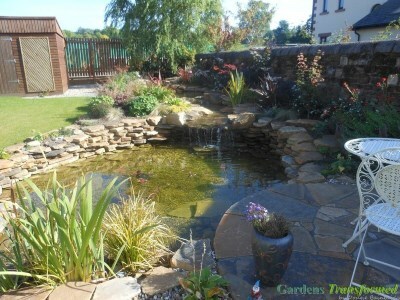 Really looking forward to making full use of the patio next year, but in the meantime enjoying the pond and adopting some fish as 'pets' in the coming months. With many thanks and best wishes for the future success of your business." 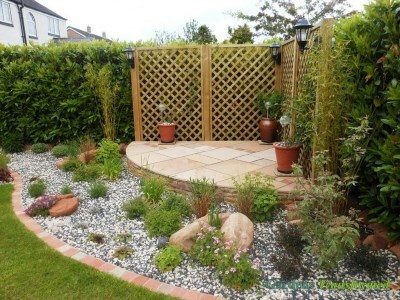 "My wife and I spent a significant amount of time looking at our options for finally improving the last 'room' of our house - the garden. 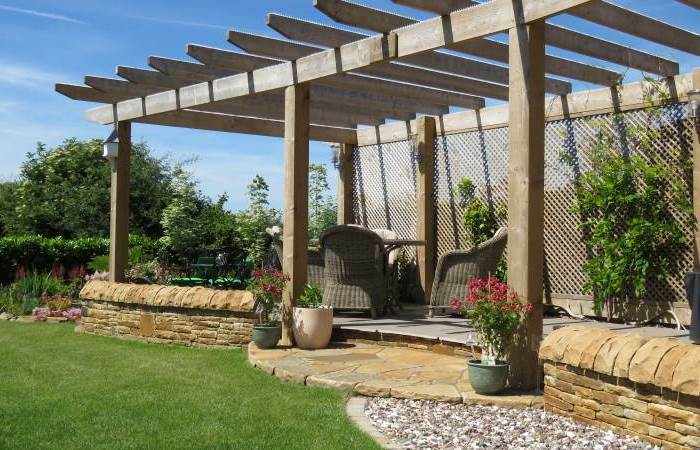 We obtained a few quotes from different companies, and it was obvious from the outset that Dougie's passion for his job was a major differentiating factor between him and others and one of the main reasons we chose GardensTransformed. 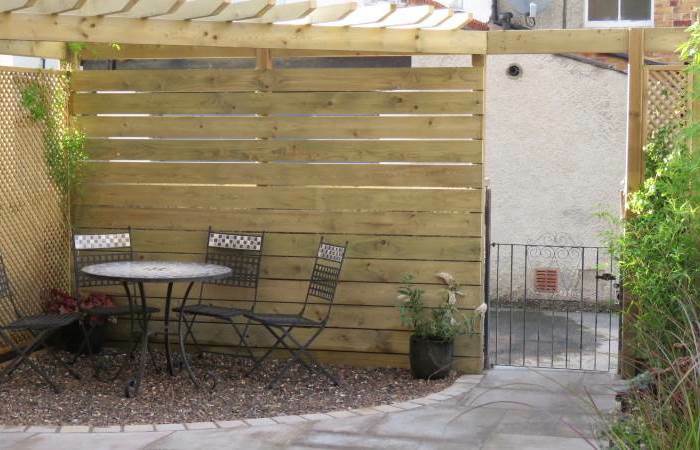 "Our brief was pretty simple, however the ideas and individuality of the work has left us with a garden which even our neighbours have enjoyed - we have even had some call round and ask to have a look! 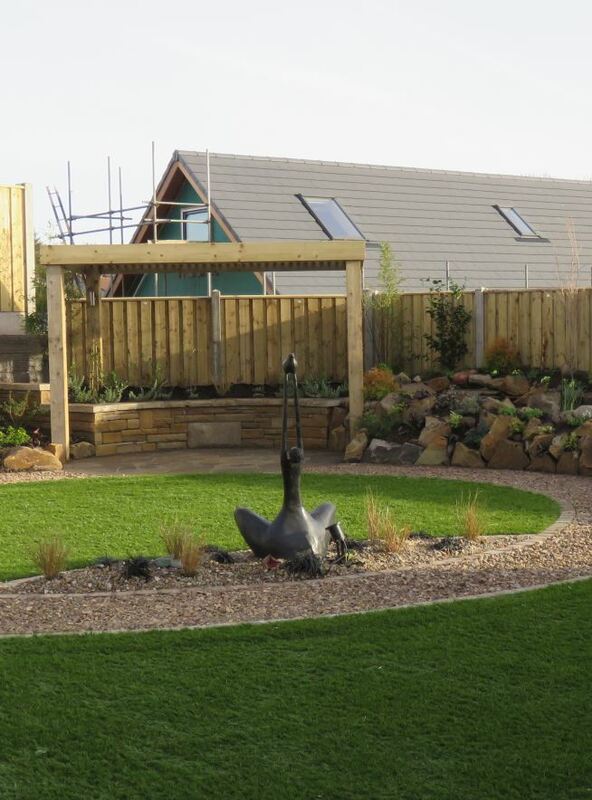 "Dougie is a perfectionist and always kept us up to date as work progressed, often asking questions of us as the different aspects of the garden came together to make sure everyone was happy. 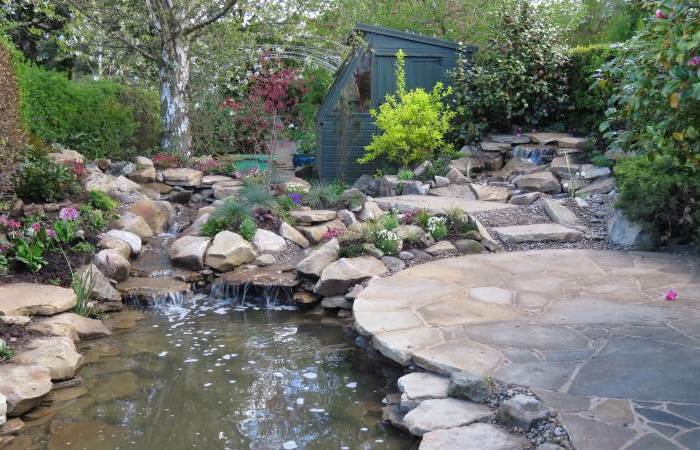 "At some point in the future we'd love to find room for one of Dougie's lovely water features and would have no hesitation to recommend him to others. His work is stunning, his enthusiasm infectious!" 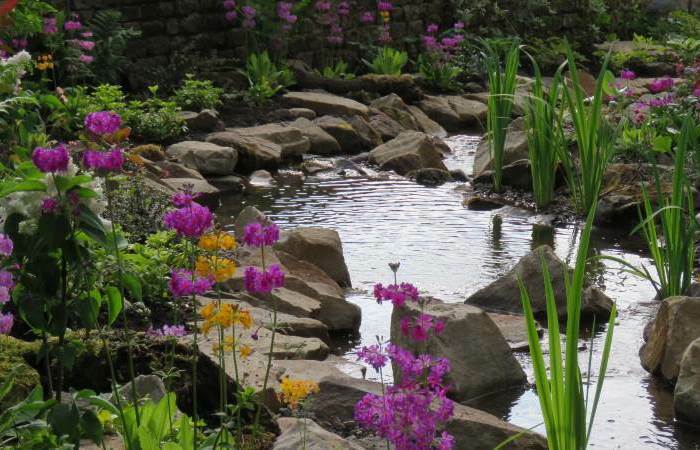 In April I contacted you and asked if you could give me a quotation for a pond with a stream coming out of rocks, that was the initial thinking. On meeting you my wife and I were put at ease straight away and on showing you the garden you saw right away what was wanted and through discussion with us a dream was started. 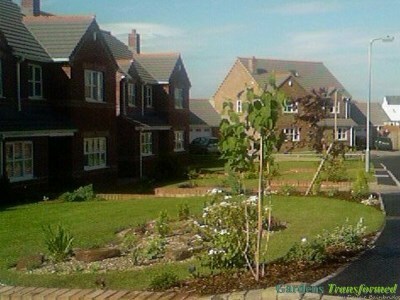 With thumbs up all around a contract was soon drawn up and a plan of the proposed works was delivered within days. 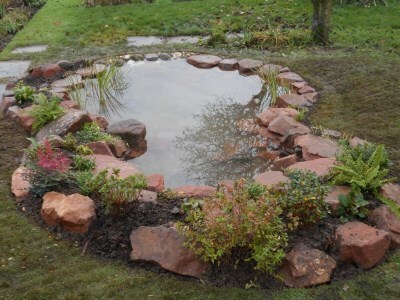 The following week work started and following a period of rain the garden was to say the least a mud bath, but out of the mud you amazed us with utilising the clay and mud and following some excellent drainage work by Otto and Ian with the digger you moulded the various ponds and stream to our liking." 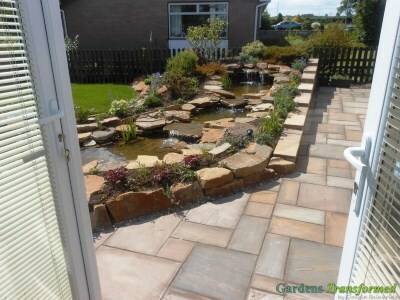 At last I've found time to sit down and write this letter of thanks you "SO DESERVE" for the wonderful ponds, waterfalls and patio you created. How delighted we are that you transformed a fruitless, dull corner of our garden into a creation, a living monument to our ruby wedding! "You are an Artist!". This is a genuine statement to your craftsmanship. Good luck in the future and thank you." 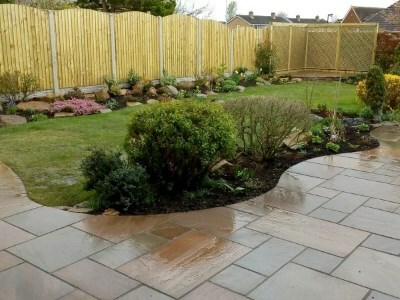 "Thank you Dougie for the fabulous job you have done on our back and front garden. 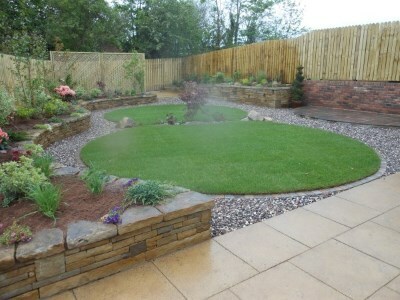 Your eye for detail and planting skills have created a natural flowing style that we are delighted with." "In a word old pal...Stunning!" 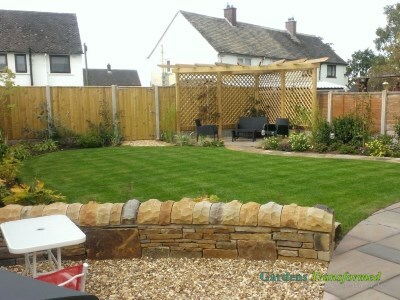 "...just sitting on my new luxury patio, looking at my Chelsea Flower Show Gold award winning garden by Dougie Bainbridge eating lunch..."
"...just cut the grass - can't thank you enough!" "Thank you. I was inspecting your handywork. 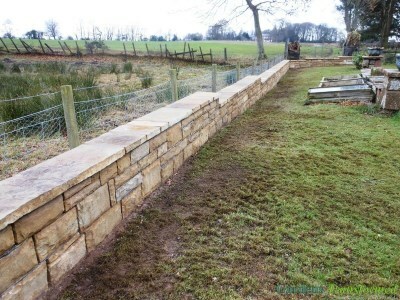 I am really pleased, it looks great from all angles. 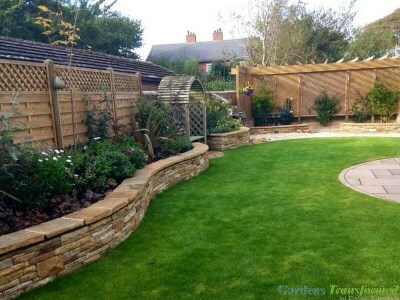 Many thanks for doing such a lovely job!"